Just as Bank of America (BAC) has decided to pay back $45 billion in TARP (Troubled Asset Relief Program) money, and the employment picture brightened with the recent improvement in the unemployment rate, our banking piggy bank, FDIC (Federal Deposit Insurance Corporation), has been busted. Recovering macroeconomic indicators haven’t allowed our banking system to get out of the woods quite yet. This struggling FDIC news comes even before the inexorable collapse expected in commercial real estate (see Wilbur Ross’ comments on the subject). 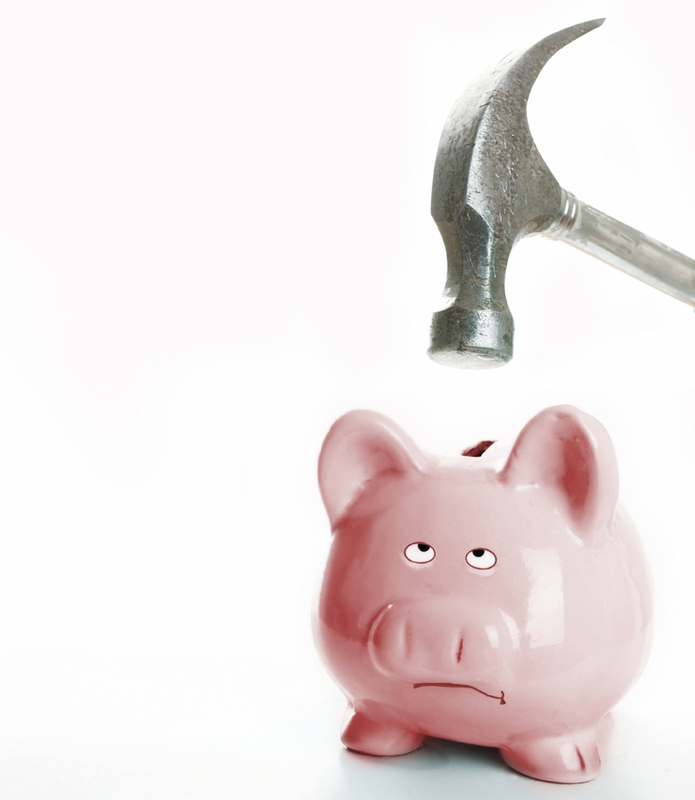 With the FDIC adding 136 banks to its “problem list” in the third quarter (bringing the total to 552), the regulator was forced to pull out $38.9 billion from the piggy bank, officially draining the rainy day fund into the red. Due to the continuation of bank failures and loan loss deterioration, the FDIC fund balance slipped to a negative -$8.2 billion (the first time since dealing with the failing thrifts in 1992) for the September period. Therefore, Ms. Bair put forth an emergency measure that requires insured banks to prepay three years of insurance premiums by the end of 2009. This action is expected to raise approximately $45 billion in funds. Although the reserve piggy bank had an upside down balance, the FDIC can still keep the lights on and cover employee payroll because the regulatory entity still has $23.3 billion in cash and marketable securities on its balance sheet. With the taxpayers flipping the bill for bailouts galore over the last two years, and Goldman Sachs (GS) wheelbarrowing out bonuses to their employees, Ms. Bair and politicians are looking to the industry to now shoulder more of the bank failure burden. Let’s hope the piggybank can be replenished so taxpayers don’t have to go scraping through their wallets again. DISCLOSURE: Sidoxia Capital Management (SCM) and some of its clients own certain exchange traded funds (VFH) and BAC, but at time of publishing had no direct positions in GS. No information accessed through the Investing Caffeine (IC) website constitutes investment, financial, legal, tax or other advice nor is to be relied on in making an investment or other decision. Please read disclosure language on IC “Contact” page. Entry filed under: Banking, Government. Tags: bank failures, banks, Barney Frank, FDIC, fund, insurance, red, Sheila Bair.